The room was packed and vibrating with love. Despite my cold with a side of laryngitis I was ready to embrace my students with the immense gratitude I'm holding in my heart for them. 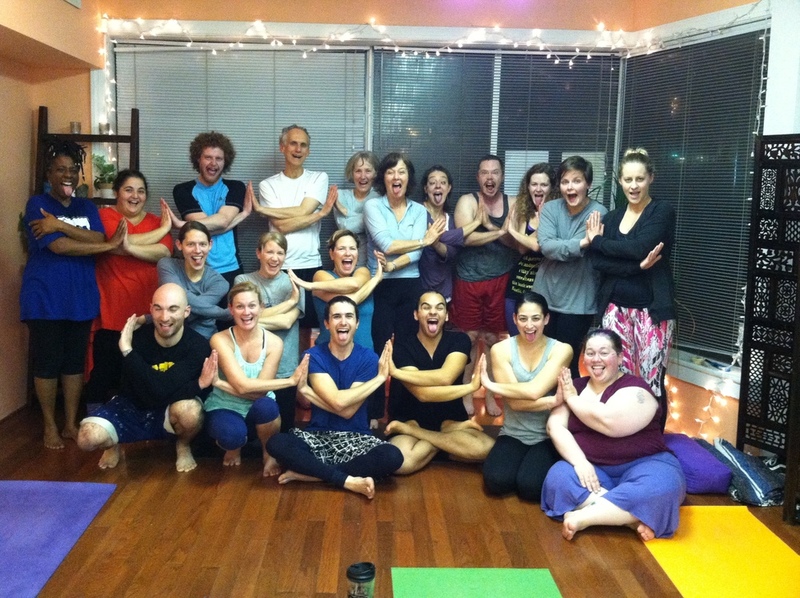 We celebrated our two year anniversary at the yoga studio Thursday night and it was beautiful. 20 people arrived to celebrate and we packed in mat to mat, just the way I like it. Class started with an extra long meditation on gratitude, we eased into a powerful flow with a backdrop of good tunes and found our yoga grove. My yogi's showed up for themselves above all, the practice is for the student, not the teacher. I enjoyed watching students find the right adjustments for their bodies and listening to their steady breath. This next year at our studio holds BIG adventures. We're starting our teacher training program called "Yoga Mutts Vinyasa Training: Yoga for all" Our aim is to help students find a personal practice and a personal teaching style that resonates with themselves above all. We are excited for the deepening that will come with a program like this and we are looking forward to watching our studio grow even more in the year to come. Thank you for being a part of this journey.